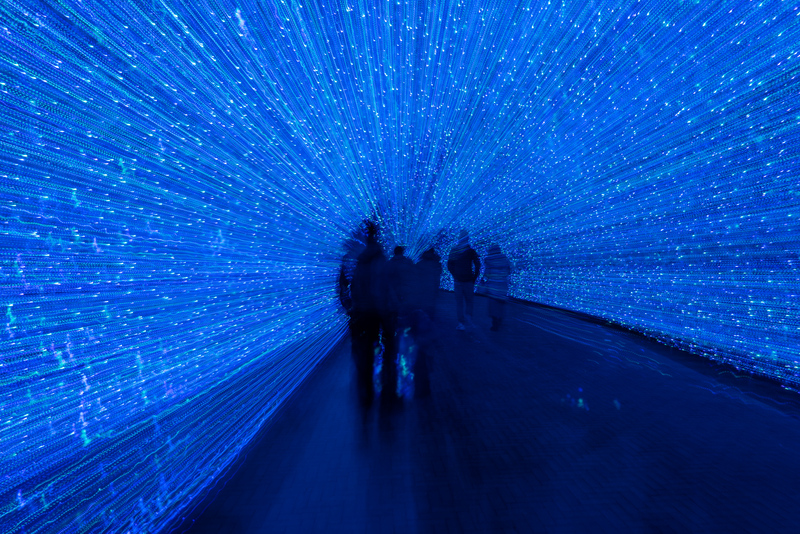 Walking through the blue tunnel of light at Nabano No Sato winter illumination. It is around 100 meters long with 700,000 blue LED lights. Nabano No Sato is one of the largest illuminations, and best events in Japan with 8.5 million LED lights, it is a spectacular sight. If you are in the Nagoya area during winter, don’t miss this event. Entry to the park is ¥2,000 during winter, which includes an in-store coupon of ¥1,000 to use within the park. This can be used to purchase some souvenirs at the shops, or even used to put towards a meal at one of the many restaurants around the park.